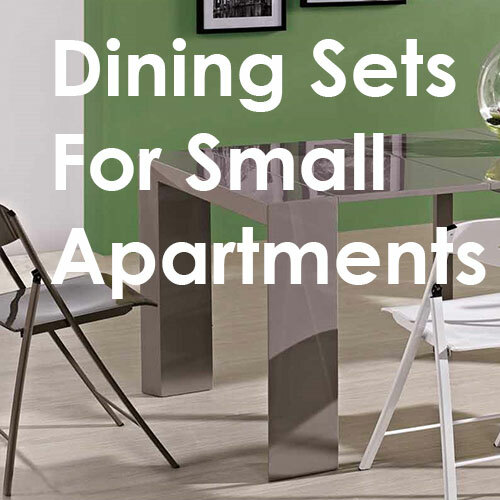 So you live in a small apartment but still want a dining set? 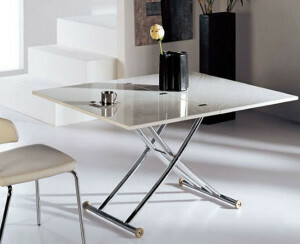 Not a problem we can show you some dining set solutions that can fit in any apartment and give you space flexibility. When you live in a small space you do not want a large dining set taking up valuable real estate in your home. Of course you also would like to have the option to host dinner parties and entertain. How do you create that perfect balance? Well it is actually easier than you may think if you look at affordable space saving furniture such as adjustable tables and chair sets. The Tiny Titan dining set is large console that can extend out into a large 12-14 seat dining table with matching folding chairs. 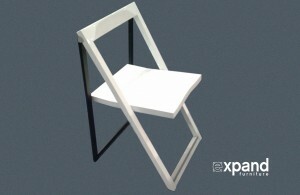 Simply store the leaflets and pendulum folding chairs in a cupboard. The chairs can easily store on coat hooks, while the extensions can rest against a cupboard wall. The Tiny Titan console takes up far less room in your home than a conventional table while also giving you that flexibility to host a large dinner party in your small apartment. The Pendulum Folding chairs will store flat in a cupboard taking up minimal space. When set around the dining table they are eye catching, comfortable, and certainly don’t scream average but wow! 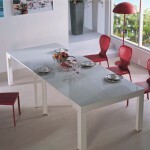 Matching panel finishes are available for select tables, making a beautiful dining set combination for your apartment. 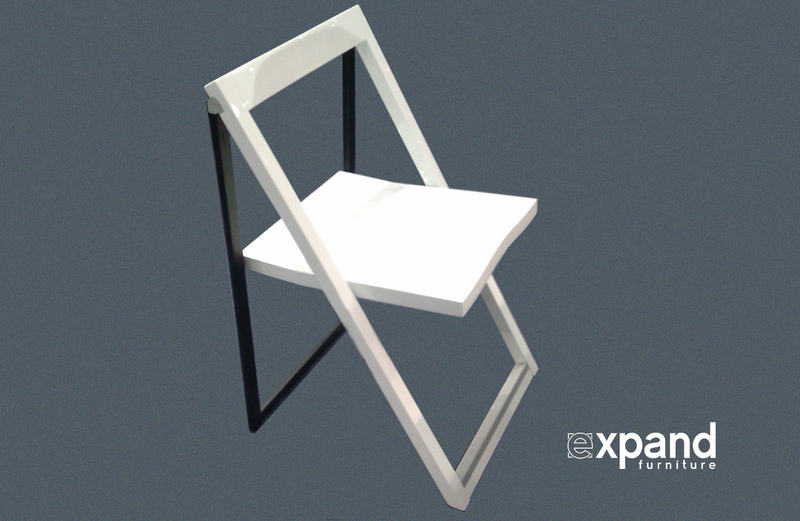 Another option to consider is the Nano folding chair. These are ultra slim models that are very minimalistic. 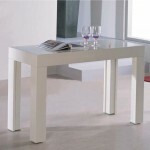 Finished in black or white they pair well with a variety of tables and also store very well when space is limited. You can purchase coat hooks at a hardware store and rest these in a cupboard, up high, to preserve you storage space. Consider you might not eat at your dining table every day and if that’s the case a coffee to dining table could be a great option for your small apartments space. You can leave you coffee table in place during the week and when you have guests over quickly convert it into a dining table. In an apartment space, many people choose to eat meals at the kitchen bar or in the living room after a long day of work. These transforming coffee tables change from a coffee table into a dining table in a snap and are finished in a variety of colors. Bring out a set of Nano or Pendulum folding chairs and you have a dining set ready to entertain. 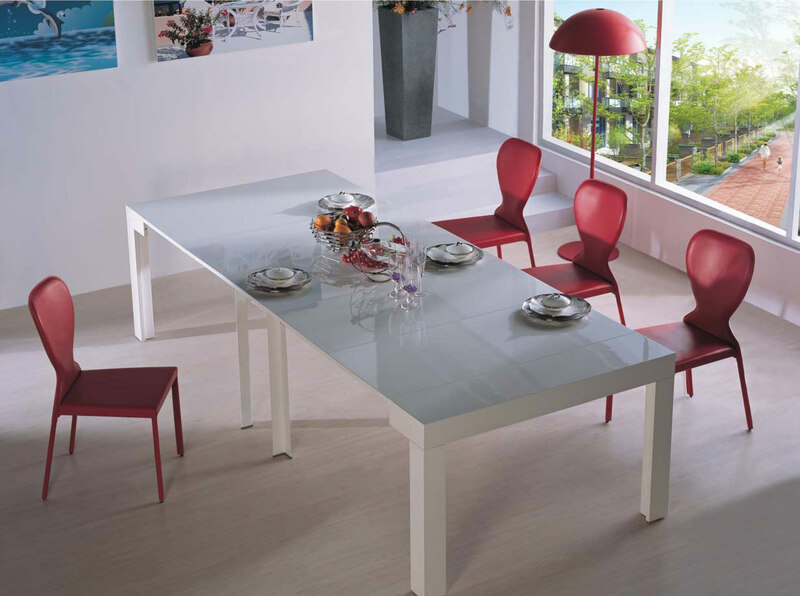 While these tables may not have the larger seating capacity of others, you do not need to store any extensions on this table and it can happily seat 4-6 people. 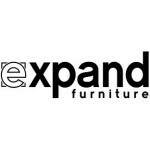 If you are looking for a dining set table which has larger capacity and has built in leaflet storage have a look at the Box Coffee to dining table series. This self storing table can seat 8-10 people for you next dinner party. It hides away in your lounge as a beautiful coffee table. When your guests arrive simply unfold your Nano folding chairs, lift and extend the Box coffee table and you have a massive dining set. 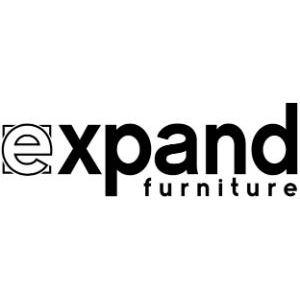 For more space expanding tables have a look here. Top Rated Dining Sets to Optimize Your Kitchen Space White Dining Room Sets for a Timeless Kitchen Showing our unique furniture at the BC Home and Garden Show Australia Space Saving Tables 5 places that you can hide away folding chairs when you are not using them.